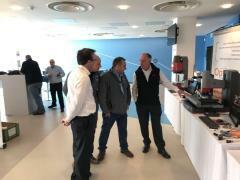 Following the success of the first Measure Anything networking event at the Etihad stadium earlier this year we are delighted to announce that the second networking event will be held at the MTC in Coventry on Wednesday 5th September from 10.30am – 3pm. With a wide range of equipment available for live demonstration visitors are encouraged to bring their parts for free measurement on the day with reports being produced. 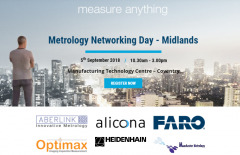 There will be a range of technical experts from all companies available to discuss applications and recommend bespoke measurement solutions. There will also be a range of products and services that can improve quality standards, increase manufacturing throughput and enhance production processes. Visitors will have access to Industry Leaders with technical presentations throughout the day. The event is free to attend and will feature a range of new equipment – to register for the event click here.